Kathleen Fitzpatrick is Director of Digital Humanities and Professor of English at Michigan State University. Prior to assuming this role in 2017, she served as Associate Executive Director and Director of Scholarly Communication of the Modern Language Association, where she was Managing Editor of PMLA and other MLA publications, as well as overseeing the development of the MLA Handbook. During that time, she also held appointments as Visiting Research Professor of English at NYU and Visiting Professor of Media Studies at Coventry University. Before joining the MLA staff in 2011, she was Professor of Media Studies at Pomona College, where she had been a member of the faculty since 1998. Kathleen is author of Generous Thinking: A Radical Approach to Saving the University (Johns Hopkins University Press, forthcoming 2019), Planned Obsolescence: Publishing, Technology, and the Future of the Academy (NYU Press, 2011), and The Anxiety of Obsolescence: The American Novel in the Age of Television (Vanderbilt University Press, 2006). She is project director of Humanities Commons, an open-access, open-source network serving more than 15,000 scholars and practitioners in the humanities. She is also co-founder of the digital scholarly network MediaCommons, where she has led a number of experiments in open peer review and other innovations in scholarly publishing. She serves on the editorial or advisory boards of publications and projects including the Open Library of the Humanities, Luminos, the Open Annotation Collaboration, PressForward, and thresholds. 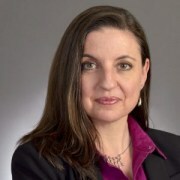 She currently serves as the chair of the board of trustees of the Council on Library and Information Resources, and as Vice-President/President-Elect of the Association for Computers and the Humanities. Ron Nash is a Senior Education Fellow at the Gilder Lehrman Institute of American History. Previously, he taught high school history and special education in New Jersey for 35 years. When he retired from teaching in 2007, Ron took a position as a Department of the Army Civilian with the 353 Civil Affairs Command (the same unit from which he retired as a colonel in 2003). During his teaching career, Ron was a member of a teaching cohort at Rutgers University which incorporated the history of the Holocaust into the broader framework of the history of genocide. In addition, Ron served as the Project Director for a Teaching American History Grant (2006-2009). He was also the New Jersey liaison for the Capitol Forum program sponsored by Brown University. His professional studies have produced curriculum projects to enhance history department offerings for both mainstream and special needs students. Ron was the recipient of grants from the Anti-Defamation League and the National Humanities Faculty. 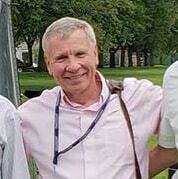 As a military planner in the US Army Civil Affairs Corps, Ron was involved in several major projects including a public diplomacy initiative with EMERCOM (the Russian FEMA), Operation Enduring Freedom-Trans Sahara(a Department of State-led interagency initiative) and Operation Iraqi Freedom. He served as a Civil Affairs planner for both USEUCOM and USAFRICOM in Stuttgart, Germany and USNAVEUR in London, UK. Ron has a BA from Seton Hall University (1969) and an MA (1970) MAT (1972) from the University of Chicago. He also studied at the National Defense University, Naval War College, the African Center for Strategic Studies, the Naval Postgraduate School and the George C. Marshall Center. Joel Nichols is an Administrator for Data Strategy and Evaluation at the Free Library of Philadelphia, where he has also worked as a branch manager and children’s librarian. His department, Strategic Initiatives, is the library’s planning department, as well as in-house think tank and tasked with monitoring and demonstrating the impact of library services and programs. In addition to the data strategy work, Joel also leads the library’s innovation work on children’s and family literacy, and was the project director of the library’s award-winning summer intervention, Camp Play and Learn, as well as for the Library Playspace initiative, an ambitious transformation of three neighborhood library children’s rooms into interactive stay-and-play spaces for young people that encourage literacy development through play. Joel is the author of Out of this World Library Programming: Using Speculative Fiction to Promote Reading and Launch Learning (2017), Teaching Internet Basics: The Can-do Guide (2014) and iPads in the Library: Using Tablet Technology to Enhance Programs for All Ages (2013), and also writes fiction. He regularly presents at national conferences and via webinar, on topics such as queer and genderqueer library services to children, public library assessment and innovation, lgbtq literature, tablet computers in libraries, and digital literacy. After earning a BA in German studies from Wesleyan University, he was supported by a Fulbright researching gay social life and early sexology in Weimar Berlin. 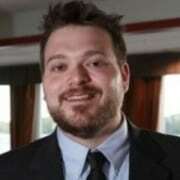 In addition, he has a MSLIS from Drexel University and an MA in English and Creative Writing from Temple. He currently serves on the American Library Association’s Advisory Group for the Center for Future of Libraries, and has been a peer reviewer for the Institute of Museum and Library Services and member of the Stonewall Book Award jury. 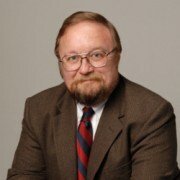 Dr. Daniel K. Richter is the Richard S. Dunn Director of the McNeil Center for Early American Studies and Roy F. and Jeannette P. Nichols Professor of American History. He holds a Ph.D. from Columbia University. Prior to joining the Penn faculty, he taught at Dickinson College and the University of East Anglia. In 2016, Daniel received the Provost’s Award for Distinguished PhD Teaching and Mentoring from the University of Pennsylvania. In 2017-18 he was awarded a John Simon Guggenheim Memorial Foundation Fellowship and was named the Robert C. Ritchie Distinguished Fellow in Early American History at The Henry E. Huntington Library, San Marino California. His most recent book is Trade, Land, Power: The Struggle for Eastern North America (University of Pennsylvania Press, 2013). He is also author of Before the Revolution: America’s Ancient Pasts (Harvard University Press, 2011), which was named by the Wall Street Journal as one of the ten best non-fiction books of 2011; Facing East from Indian Country: A Native History of Early America (Harvard University Press, 2001), which was a finalist for the Pulitzer Prize in History and won the Louis Gottschalk Prize in Eighteenth-Century History; and The Ordeal of the Longhouse: The Peoples of the Iroquois League in the Era of European Colonization (University of North Carolina Press, 1992), which received both the Frederick Jackson Turner Award and the Ray Allen Billington Prize from the Organization of American Historians. He is currently working on a book tentatively titled The Lords Proprietors: Land and Power in Seventeenth-Century America, under contract with Harvard University Press. 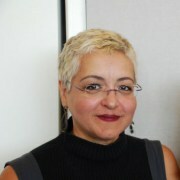 Vilma Ortiz-Sánchez is a Program Specialist for the Education Office at the National Museum of the American Indian (NMAI). She earned a Masters in Museum Studies and anthropology from the George Washington University which she has put to good use managing educational web and digital projects and developing interactive experiences for visitors. In the museum Vilma has developed two interactive spaces for families in temporary exhibits, Paawats: Family Activity Room for the exhibit Listening to Our Ancestors: the Art of Native Life along the North Pacific Coast and Isnati Activity Room for the exhibit Identity by Design. Before coming to NMAI she worked at the National Museum of Natural History. There she was manager of the Discovery Room, a hands-on exhibit for families that offered 100,000 visitors annually the opportunity to interact with natural and cultural history objects. At NMNH she was co-project manager of Discover Africa, the first hands-on, family-friendly exhibit within a permanent exhibit hall. She also has worked extensively in outreach to Latin American communities in Washington, DC and abroad. Curtis Zunigha is an enrolled member of the Delaware Tribe of Indians in Oklahoma. He is currently the Director of Cultural Resources for his tribe. 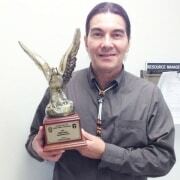 He has served his tribe over the years in many capacities of governance, program administration, and personnel management with over twenty years of experience in tribal government, community development, cultural preservation, and telecommunications. His multimedia experience includes writing, producing, directing, acting, narrating, and composing & performing traditional music. Curtis is an accomplished public speaker, workshop facilitator, and panel moderator. He is known throughout Indian Country as a Master of Ceremonies at pow wows & cultural events. Curtis is the co-founder and co-director of The Lenape Center, a non-profit corporation based in New York City which promotes the history and culture of the Lenape people (a.k.a. 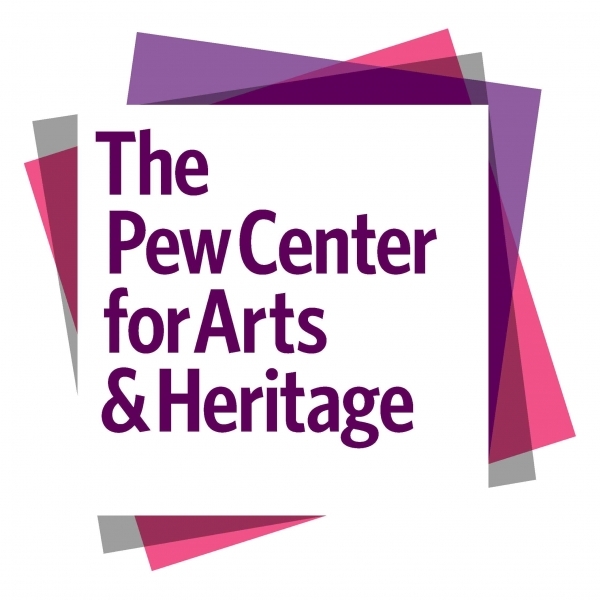 Delaware Indians) through the arts, humanities, and social identity. Curtis has extensive experience working with youth groups such as the Boy Scouts of America and the Boys & Girls Clubs of America. He is a veteran of the United States Air Force.